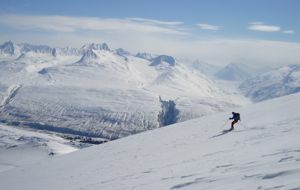 Valdez, Alaska in the Chugach Range is some of the best and most accessible glaciated ski mountaineering terrain in North America. Fabulous powder runs, amazing couloirs and wide open glaciers await the ski mountaineer. In six days of ski mountaineering we can get an amazing amount of great skiiing in. 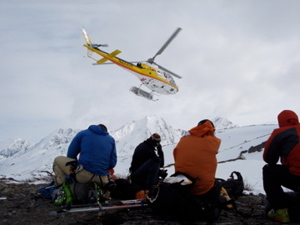 We also plan on two helicopter "bumps" to get us quickly into some magnificent terrain. The combination of ski touring and heli-touring makes for a great big-mountain ski mountaineering adventure at a fraction of the cost of a week of heli-only skiing. Nights are spent in the comfort of a local lodge eating great food. We base out of the port town of Valdez, Alaska, and most of our tours are out of the famous Thompson Pass area not far from town. Thompson Pass is unique in that is is one of the only areas in North America that offers roadside access to big glaciated terrain. 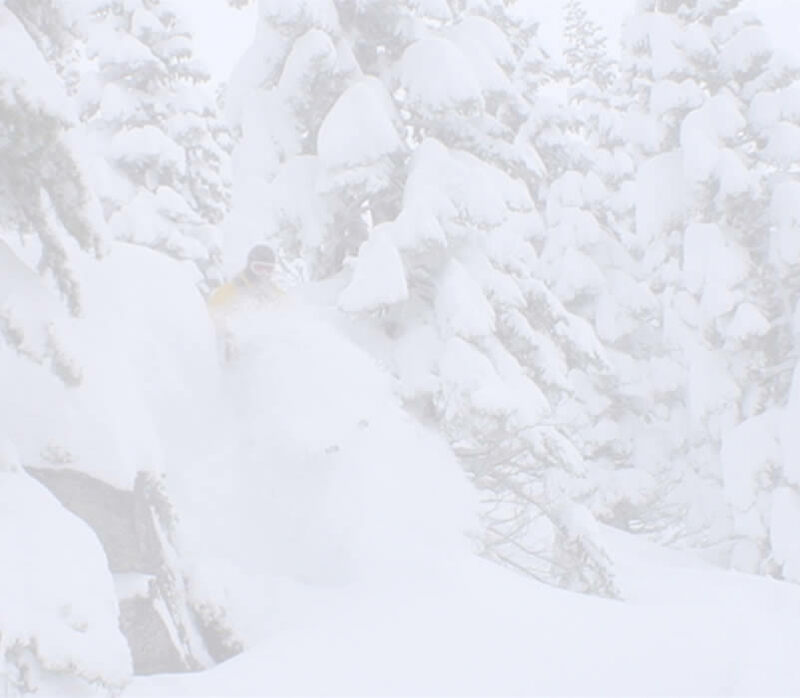 Another great feature of this trip is that even in poor weather, we still may have good skiing options...something the heli-only skiers do not. No sitting around in town waiting for the skies to clear! 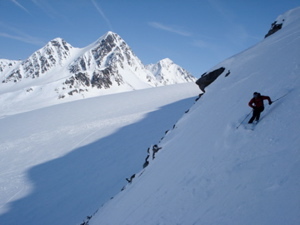 But mostly it's all about getting in some amazing skiing in famous Chugach Powder. Prerequisites: Advanced skiers with some previous backcountry skiing experience. 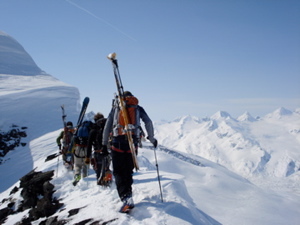 6 days of ski guiding and instruction by AMGA-certified ski mountaineering and IFMGA certified ski guides. * Heli bumps are not included since we do not know for sure how many we will be able to do due to weather. Plan on about approx. $250 per bump, but it depends on the number in the group. Weather permitting, we will do two bumps. We may do more only with the unanimous agreement of the group.